When we arrived at the location in the early morning of 9th. October and we saw the beautiful landscape of the Baile Tusnad-area it was already clear, that this would be a nice place to have a training about the topic of nature, our relation to the nature and our educational approached to get people aware, connected and respecting the nature. Baile Tusnad is located around 100km east of Brasov directly at the Olt (Alt)-river. It is a spa town offering several famous mineral-water springs. As the smallest town of Romania it is inhabited mainly by the Hundarian Szeklers. With the “Tusnad hub” the organizers found a a big and good equipped training space for the course. Youth workers and trainers from the seven European countries Romania, Croatia, Italy, Lithuania, Spain, Portugal and Germany did participate in the activity. Already the first evening was very much inspired from the big attraction of the small city: the presence of the bears! Baile Tusnad is located between two big forest-areas were a lot of bears are living and the frequently come to the town to search for food in the trash-cans of the city. So the facilitators informed us about that and already in the first evening/night the first participants of the training saw a bear 🙂 … some got afraid because of this fact, because they never saw a bear in their live. After a period of get to know each at the first day the facilitators entered a phase of team-building. 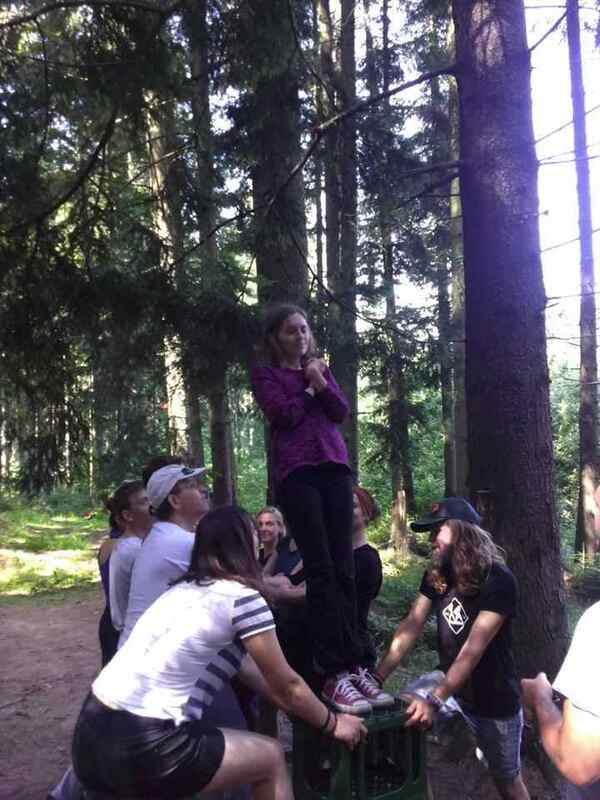 Therefore they used a lot different team-building activities especially outside in the nature. Starting with smaller games like building with closed eyes a rectangle with the help of a rope or balancing a big hula hoop with a small group together using just one finger. The training was divided in five parts, as you can see on the picture. 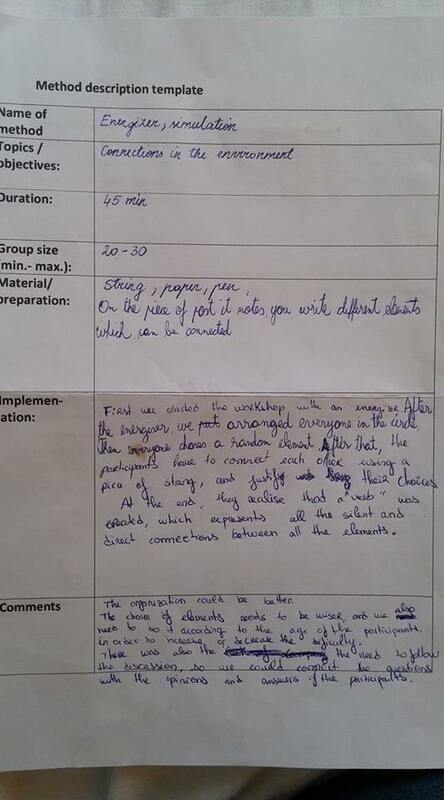 After this smaller games we had a group-exercise treasure-hunt. From point to point we explored some parts of the small city. At each treasure-point we had to fulfil a small task together. Some tasks were more to think about us self and our opinions, others we little games or to learn a traditional dance. The second day was called the “Forest day”, because we have been almost the entire day in the forest near by Baile Tusnad. There was a rope-adventure park that offered us a big variety of group building activities challenging our collaboration, skills, fears and condition. As a group we had to trust others and let us fall in their arms, pass a rope-parcours, get to a much to small little “island” or just make people fly to the sky by lifting them with a rope up in the trees. After this very active and sometimes loud experience the facilitators went into the opposite and let us gather in the early morning for a silent hike up the mountains over the little town. We where not allowed to communicate during the whole experience and so we had big attention for our surroundings in the forest, while climbing up the harsh mountain. But reaching the topic a magnificent view over the valley and the mountains compensated our struggle. A relaxing time with beautiful views and in our group-silence the experience of nature sounds confronted with traffic and civilisation noises conquering them from the valley. After a free afternoon we reached day four of the training, that was now focusing our attention to the question how we as youth-trainers can contribute to an eco-centric appoach of youth work? How can we get young people attracted by nature and closer to with meaningful approachs? 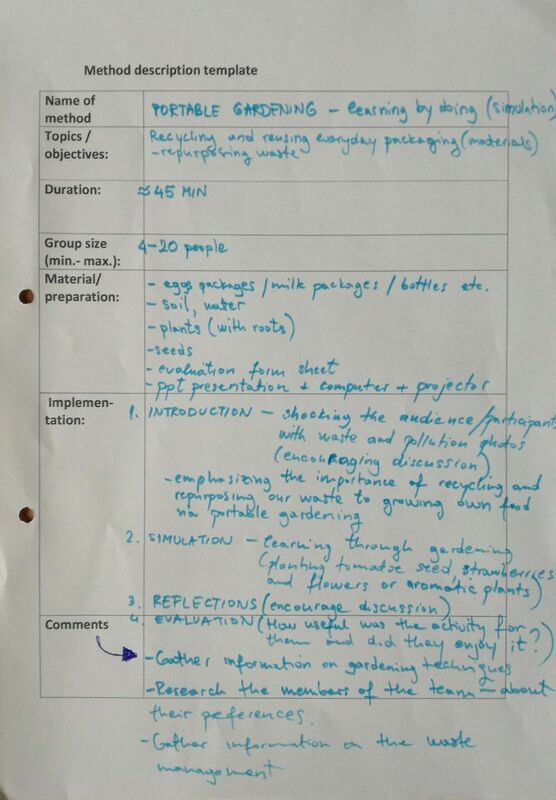 We gathered in mixed small groups and each group had created an own pedagogical method/approach. Our group was split up in two different groups. The one group dealt with the topic of nutrition, food production chains and the impact on nature and environment. The second second group we participated asked themselves the question “What is behind a banana?” Having only an afternoon and a little time in the next morning was quiet challenging for such an big aim, especially because the intercultural evening in the pool-bar next to our training hub made it as well a short night in between. Our last day in Tusnad was the day to close the nature-session, reflect on it personally and as a group and look in the future what we will do with the experience we got back home. Copyright © 2019 OBUK Berlin. Powered by WordPress. Theme: Spacious by ThemeGrill.